As I’ve grown older, I’ve learned to love burning candles at home. I now enjoy buying seasonal scents in pretty containers, and I’ve learned to love making my own candles. 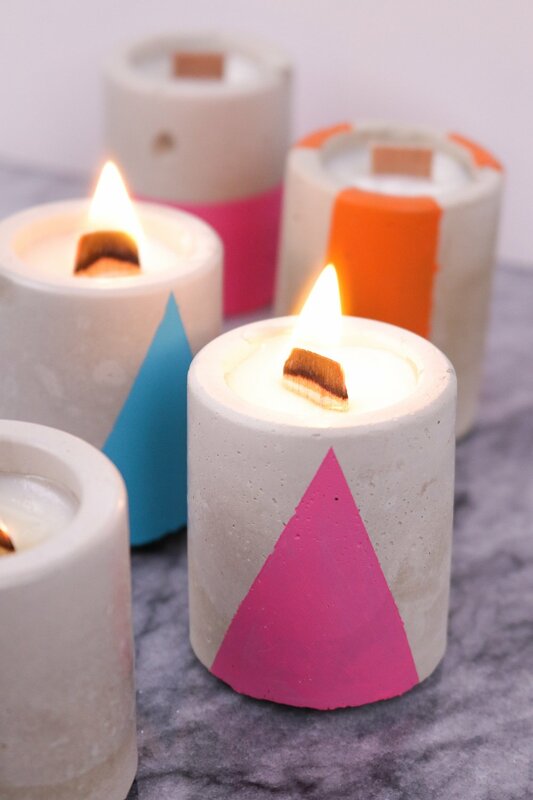 With industrial-style accents becoming increasingly popular, I made a set of concrete soy candles with beautiful wood wicks using rose, one of my favorite scents. Ready to go full boho with your Christmas decor this year? This fun pom-pom wreath will set the tone on your front door, and prepare your guests for even more color inside. But of course the color scheme is up to you, so feel free to put your own twist on this project and make your pom-pom wreath in your favorite holiday colors. BOO! Did I scare you? If not, this might give you a fright: it's almost October, which means it's almost time for Halloween! Now that's truly terrifying. Halloween is one of the most fun holidays to decorate for, and there are so many ways you can celebrate. Whether you prefer creepy crawlies, or more glitz and glam, there's no end to the DIY Halloween decorations you can make to adorn you home - inside and out! Here are a few of our favorites. Prepare to be spooked! 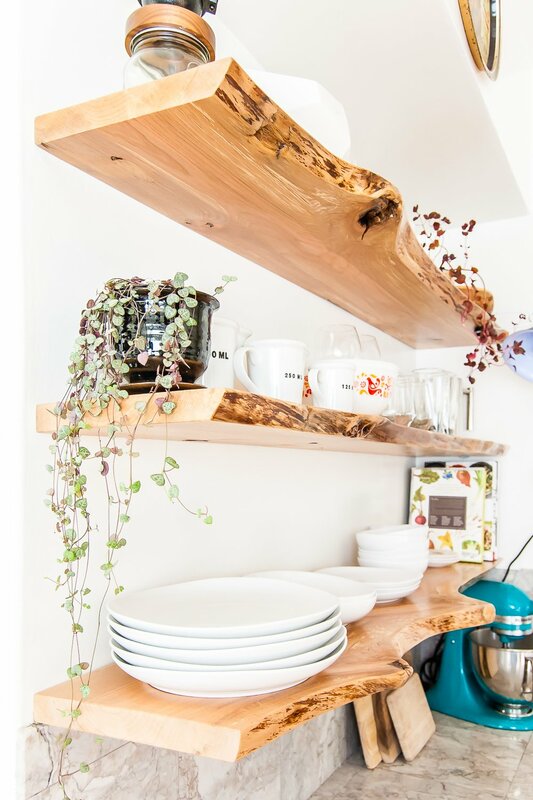 When I first set out to build live-edge floating shelves in my kitchen a few years back, I had no idea how to do it. At the time, I had to figure a lot out myself. Luckily for you, the internet now has step-by-step instructions for a variety of different methods for building shelves without visible brackets. Having personally built floating shelves two different ways, I can tell you that it's not difficult once you have some basic woodworking skills. I managed to do it even as a beginner. Here are seven different tutorials that will help you build the floating shelves (or floating corner shelves!) of your dreams. I love using letters and words in my house... it's such an easy way to infuse a space with some serious personality. And when I saw these gold metal letters at my local craft store, I knew immediately what I'd do with them. Click through to check out my crazy easy tutorial for a set of monogram letter hooks. How high to hang pictures? Should they be at eye level? Does that mean my eye level or the eye level of the average person? What if I have very high ceilings? What about those gallery walls everyone is posting Pinterest pictures of? It's a lot to think about, right? Sometimes it seems as if there are as many answers to this question as there are different kinds of houses. This quick cheat sheet is designed to help you make this decision based on your own interior, and find the perfect height to hang pictures in your home. "I have too many plants..." -- said no one ever. Except, perhaps, people who can't keep plants alive. Good news for all you plant-murderers: faux plants can often look as gorgeous as the real thing. 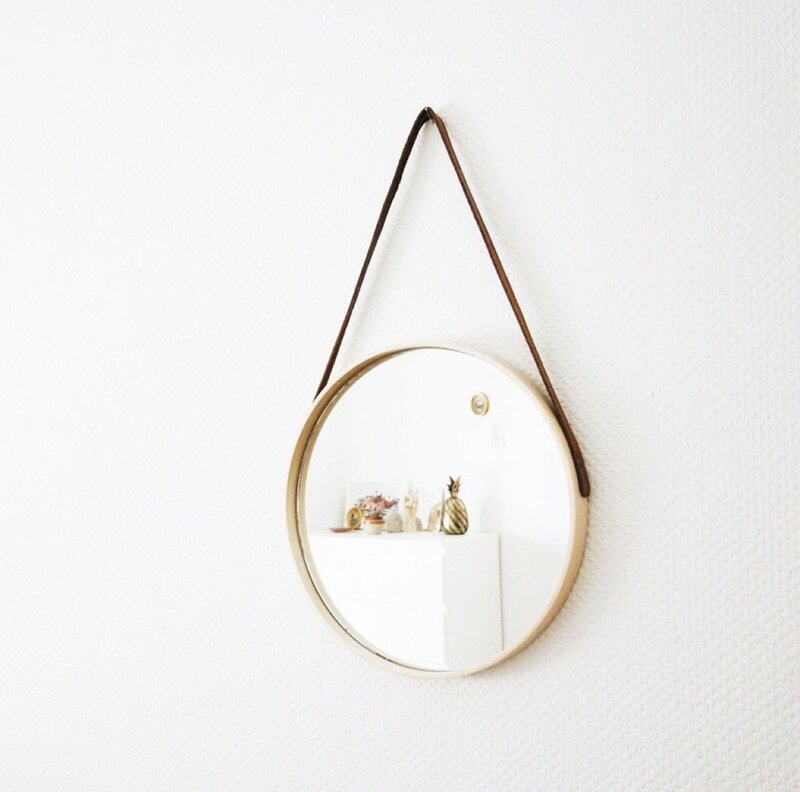 Especially if you glam them up with my all-time favorite crafting material, copper leaf. Today I'm going to show you how to make copper leaf plants so that you can bring some unique and botanical beauty to your summer decorating. That's right, we're leafing leaves! Ready to see how? Hallways can often be the spaces in the home that get overlooked and definitely taken for granted. They seem to just be a pointless area that allows transportation from one room to the next. And really, they deserve just as much attention to detail than any other space in the house. It might just be an area that feels aimless and wayward, but maybe it just needs a little love and attention. We are always on the hunt for new and interesting ways to display all our leafy friends over at the Curbly office. With spring finally showing up this past weekend (Midwesterners rejoice! ), all our office plants are looking more alive than they have in almost 8 months. We think they deserve a new look. Want to take your houseplants to the another level (no pun intended) too, but you're short on time? This DIY plant stand can be completed in roughly thirty minutes.